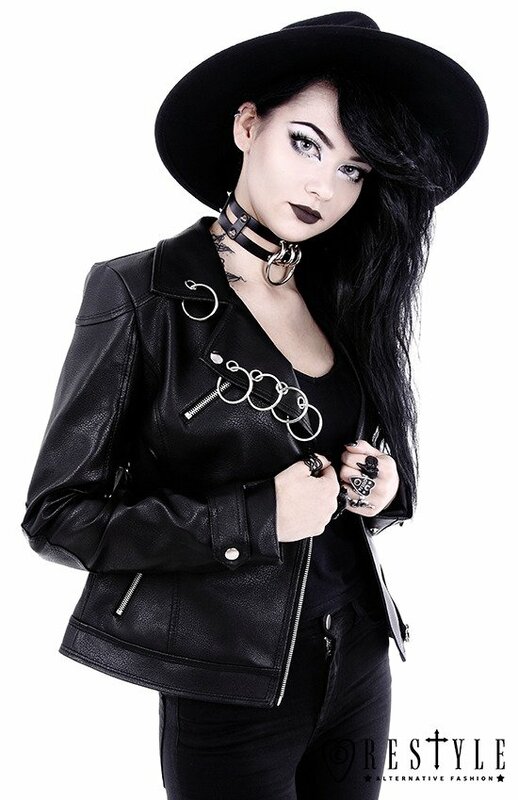 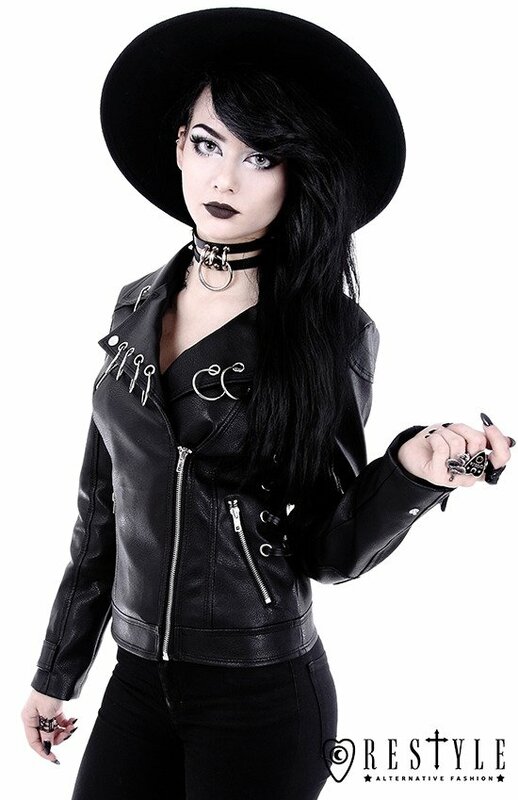 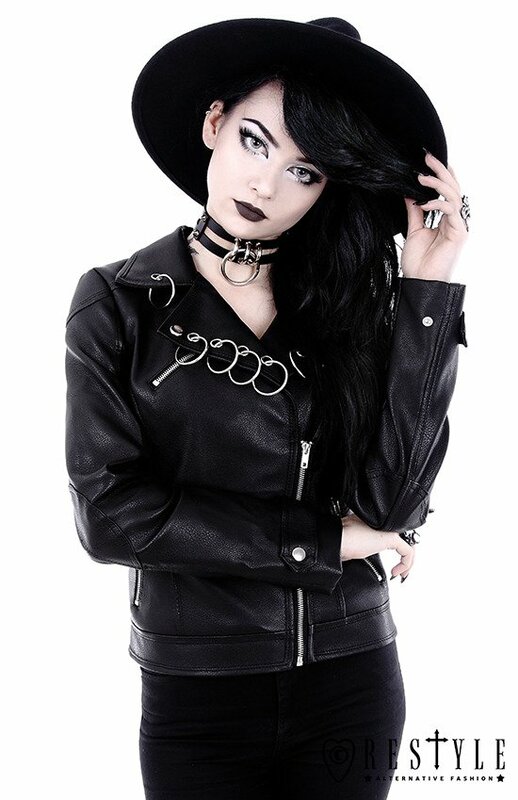 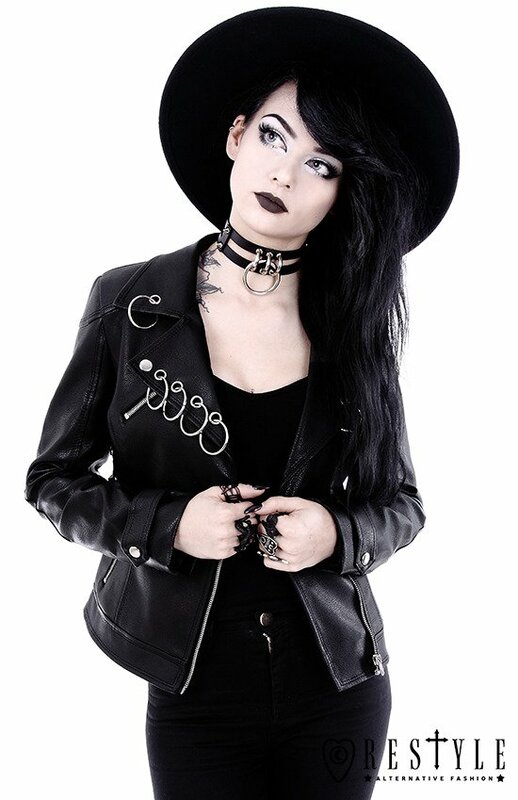 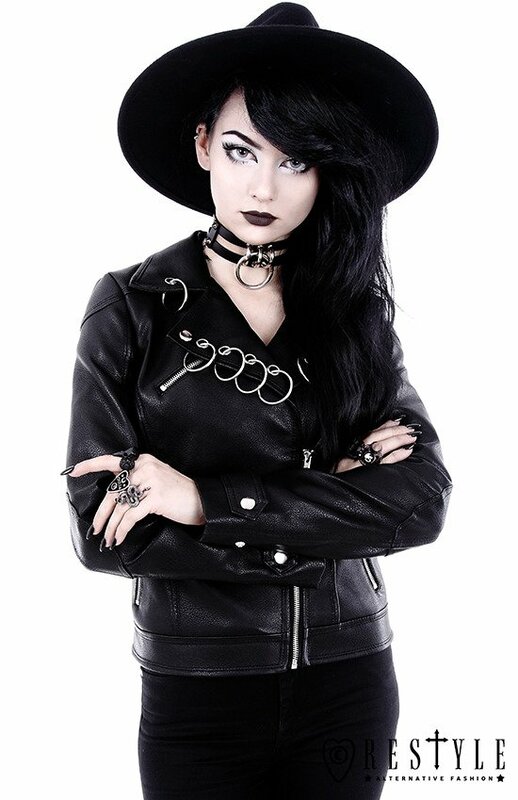 Black leather jacket with rings "PIERCED BIKER JACKET"
You save 30% (22,19 €). 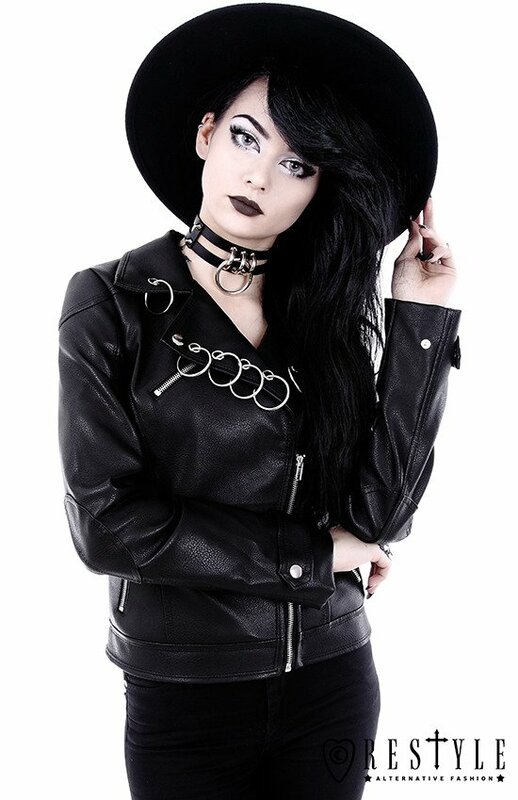 Made of very thick faux leather with strong texture. 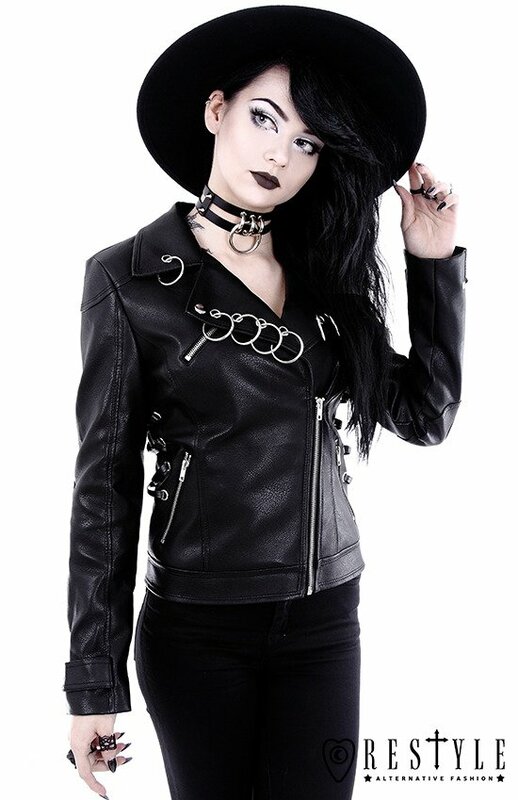 Jacket has black, satin lining. 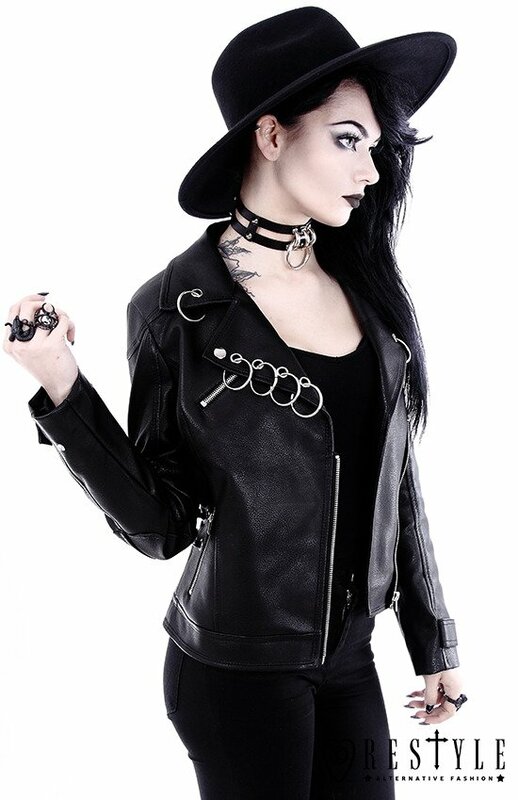 Jacket has big collar with metal rings. 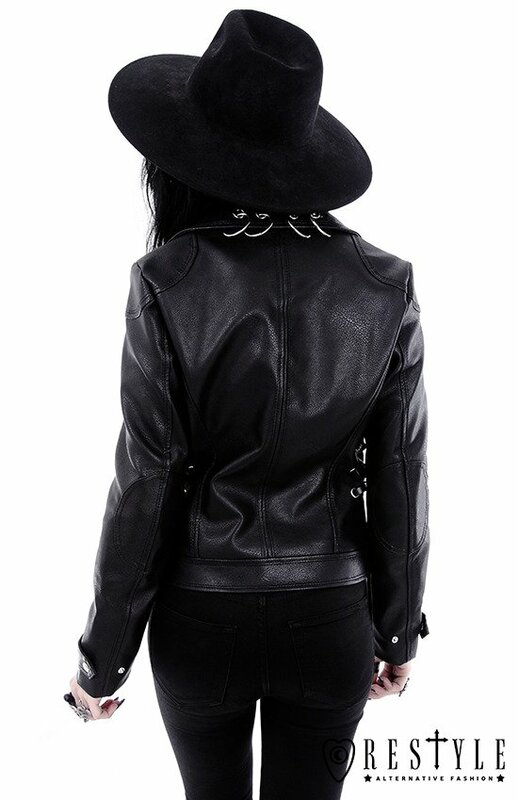 Faux leather string lacing on the sides keeps the style smart and sophisticated. 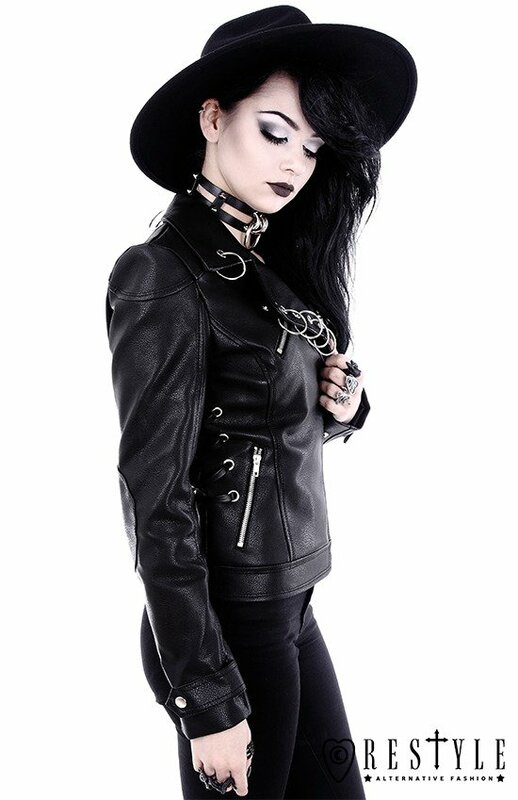 Jacket fastened with metal zipper, cuffs adjusted with metal snaps.